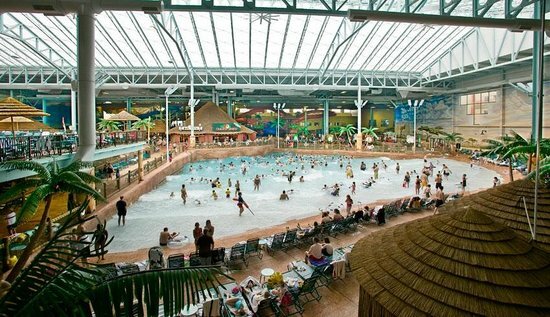 Soak up the sights, sounds and tastes of Africa at Kalahari Resort Sandusky, an African-themed family destination boasting the largest indoor water park in the entire U.S. 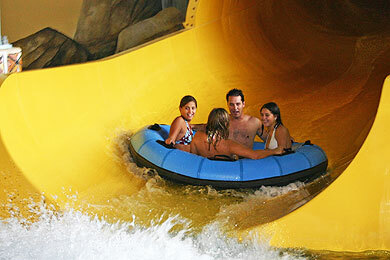 Opened in 2005, the 884-room northern Ohio resort is the second in the Kalahari family — succeeding Kalahari Wisconsin Dells — and includes a 173,000-square-foot indoor water park, a 77,000-square-foot outdoor water park and a new Safari Adventure Park, featuring an African-themed animal park complete with camels, giraffes and zebras. In winter months and throughout the year, visitors will find a veritable host of indoor venues to entertain the troops, from a massive arcade and a pottery studio to play zones for both big and little kids. In fair weather, aspiring adventurers can get their feet wet at an expansive outdoor complex, which includes a three-level Ropes Course, two water playgrounds and a four-tower Zipline Tour, where explorers can enjoy awe-inspiring aerial views of both climbing walls and water. 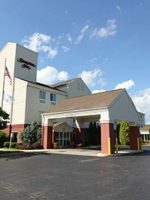 Lodging options range from standard guestrooms with a refrigerator and a microwave to three-bedroom, three-bathroom condos with full kitchens, and a multitude of dining options, from African-themed table service to pizza delivery, appeal to a range of palates as well as family budgets. Largest indoor water park in U.S. Designed to create a themed experience, rooms are rich in African ambiance, from framed art and headboards with inlaid African prints to wall sconces with animal "tusk" accents. 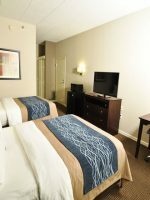 All accommodations feature free Wi-Fi, a refrigerator, microwave, coffeemaker and in-room safe and complimentary access for each registered guest to the Fitness Center, Tree Top dry Play Area and the indoor and outdoor water parks. Rollaway beds, cribs and Pack 'n Plays are available at an additional nightly fee. Room options range from Desert and Nomad rooms (515 square feet, accommodate six) in the Resort North and South wings to Hut (358 square feet, maximum four persons) and Lodge (663 square-feet; full kitchen; maximum four persons) rooms in the Sands condominium building. 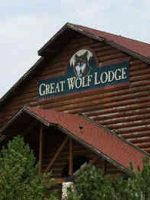 Combination Suites (1,021 square feet) combine one Lodge and one Hut room and sleep up to eight, while Village Suites (1,570 square feet) combine one Lodge room and two Hut rooms, feature a total of three bathrooms and three patios and sleep up to 12. Additional options for larger families include Two Room Family Suites, located closest to the indoor water park, and African Queen Suites, both of which accommodate up to eight. Two Room Family Suites feature two full bathrooms versus 1.5 bathrooms in the African Queen Suites, while African Queen Suites offer the added bonus of a shared living room. One important detail to note is that while rooms may accommodate a total of six or eight guests or more, resort pricing is often calculated for a lower occupancy. When sleeper sofas are used, there is an added charge per guest per night. 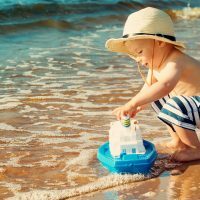 Children under two stay and play for free. With regard to room location, seasonality is key. In summertime, Lodge and Hut rooms in the Sands wings, as well as their suite combinations, offer convenient access to the outdoor water park, as well as easy access to the indoor water park via an outdoor pool deck entrance. You can request an outdoor pool view (no extra charge), but a specific outlook is not guaranteed. In winter, Nomad and Desert rooms in the Resort South Wing afford easy access to the indoor water park, as do Two-Room Family Suites and African Queen Suites, while rooms in the Resort North Wing and Sands buildings can be a good distance away, but are convenient to the convention center, Fitness Center and Spa Kalahari. My family and I decided we were going to stay at Kalahari this year for Easter and start a new tradition with our kids. We booked two rooms and spent even more in the restaurants and at gift shops. After checking out and getting home I realized that my wallet was left behind in the safe that is provided in the room. I called up the the hotel to ask if someone had found it and started the hour drive back to the resort. After I got there and was handed my wallet I open it up to check if anything was missing and I discovered that someone had taken about $200 worth of cash out of my wallet. I informed security and was told to call the police and file a report. I asked to speak with a manager and Justin with guest services came out to speak with me. He was extremely rude and unprofessional. After I filed a police report I asked for Justin’s business card and was handed a corner of paper with “Justin with guest services” written on it. I am completely shocked and disappointed at the lack of customer service I was provided from an establishment that i just spent over $700 at. I will not be returning to Kalahari and I wouldn’t recommend it to anyone. The park is amazing and handles every age of kids well, although I don’t think adults would be interested in going alone. Rooms were clean and large but if you are in the 600 building you will be walking about 400 yards to the water park. They lost a star for the FlowRider procedure. It’s nice that they use a timer but the timer is applied unevenly. One person in line ahead of my child asked to try the standup board instead of the bodyboard. They took maybe 3 min to sing the release, got a 1 min lesson, then rode for maybe 2 minutes. There were 15 people in line. Are they trying to make everyone wait in line an hour? It’s not the workers fault but they need better directions from management. Terrible. A Zip Coaster uphill water rollercoaster, two FlowRider surf stations and a 12,000-square-foot Wave Pool located under a transparent Texlon tanning roof, are the highlights of the massive 173,000-square-foot indoor water park, which is open to the public and features attractions for every member of the family. Kids can take lessons on how to become a mermaid, play a game of water basketball, twist around a waterslide funnel at 40 mph or hop in a family raft and ride down Kalahari's version of Victoria Falls. Swim vests (complimentary) are required for all kids 48-inches and under (expect to be measured! ), and height requirements vary by attraction. Skip the formalities by obtaining a 42-inch or 48-inch wristband at the Lifeguard Manager's Desk by the Lazy River. A parent or guardian must accompany all children under 14, and swim diapers are required for non potty-trained children. A dedicated family changing area is located in the Locker Room (lockers are available). Towels are complimentary. On the day of arrival, registered hotel guests can perform a "soft check-in" and utilize the water park and facilities from this time through closing time (varies) on the day of checkout (overnight guests may enter one hour early). Ninety-minute FlowRider classes are offered daily. 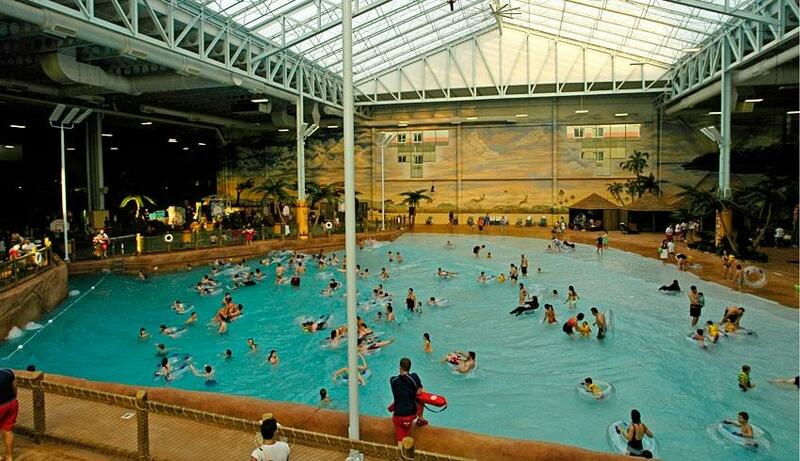 Register at the Waterpark Cashier by 8 p.m. for the following day's session. For the smallest water park guests, Bugs Burrow is a slide where little kids can imagine what it is like to be the size of a bug! Storm Chaser is a video game waterslide, you heard that right! You play a video game while sliding down the waterslide! Riders use a controller to play a target video game while riding a sideboard down the waterslide. The object of the game is to hit the targets and earn points without losing speed. Paint a souvenir mug or plate or fill a fluffy friend to take home, then dress it in a signature Kalahari T-shirt at this sizeable pottery and animal stuffing spot, located near the Big Game Arcade. Shipping is available. Hours are 9 a.m. to 9 p.m. and until 10 p.m. Friday and Saturday. You'll find around 200 rotating games, both video and prize bearing, at this extensive and lively arcade, located on the first floor. At a prize window, your kids can trade in tickets for take-home treats like beach balls and stuffed animals. Purchase a rechargeable card at a kiosk. Hours are 8 a.m. to midnight daily. 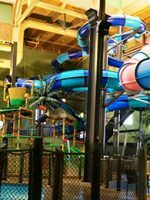 Airball cannons, a ball pit, slides and three levels of interior climbing will keep the kids (52-inches and under) occupied at this indoor play area, located between the public water park entrance and the Big Game Arcade. Next door, there's a soft play area for smaller kids, with colorful jungle animals, trees and slides. Socks are required for both areas, but if you forget, they're conveniently available for purchase in a nearby vending machine. This mostly seasonal park offers four outdoor adventure experiences. A length of stay pass, which includes all activities, is $19.95 for resort guests. One-day all-attraction admission is $19.95 for water park day passes for guests, and $24.95 for the general public. Pack a standard short or long-sleeved T-shirt, long shorts or pants and sneakers. Loaner Croc-style shoes are available. At this four-stage Zipline course (fee), located in the interior courtyard of the hotel, get an aerial view of the outdoor pool complex. Souvenir photos (fee) are available. Test your skills on three levels of challenges, ranging from bridges and balance beams to ropewalks. There's no time restriction, so take it slow and easy, if you wish. Open year-round, this extensive animal park (entry fee; under 2 free) hosts a rotating array of animal guests, from zebras, giraffes and lemurs to reindeer. A multitude of opportunities is available to feed, ride and interact with the animals and chronicle your experience via souvenir photos. Visitors can even ride a pony or a camel (fee). Individual photos as well as USB card packages with copyright privileges (fee) are available. Kids ages 4 to 12 can sign on to be a "Junior Zookeeper of the Day" (fee; reservations required: call 419-656-1098). Activities might include feeding, grooming and saddling the animals, and sessions (morning and afternoon) are two hours in duration. Just outside, there's a "gem mine," where kids can pan for treasure. Park hours vary by season. The animal theme is played out to the extreme at this fun-filled, 77,000-square-foot pool complex, open seasonally. A zero-entry pool offers colorful toys from a squirting bicycle to a water seesaw and a separate splash pad features monkeys, giraffes and elephant figures festooning tube and traditional water slides, sprayers and dump buckets. Also, a five-slide tower includes rides like Sahara Sidewinder and Serengeti Spinner. Children under 48-inches must wear a life vest (complimentary). Hours are 9 a.m. to dusk daily. An army of lifeguards is on duty, but stick close to your kids to ensure maximum safety, especially during crowded times. Adjacent to the outdoor pool, you'll find a good-sized playground with two climbing walls, three rope-constructed climbing elements, slides and a teeter-totter. Nearby, there's a sand volleyball court. Ala carte dining is available at this sit-down restaurant located off the main lobby, but the main reason to visit is the breakfast and dinner buffets. Ala carte kids' options include pasta with marinara sauce, macaroni and cheese and cheese pizza. Hours are 6:30 a.m. to 11 p.m. and buffet hours are 8 a.m. to 12 p.m. for breakfast and 5 to 10 p.m. for dinner. Fresh-brewed coffee, pastries and fancy desserts are available all-day at this counter-service lobby shop. For breakfast, pancakes will please the kids, and lunch and dinner offerings include a variety of salads and deli sandwiches. Hours are 6 a.m. to 11 p.m. Guests gobble up gourmet caramel apples, hand-dipped chocolates and candy by the ounce or the pound at this Lobby sweet shop, which also features hand-dipped ice cream. For a special treat, order a themed candy basket. Open daily at 9 a.m. Exclusive to Kalahari Resort, this African-themed dining experience features American cuisine with an ethnic twist, with special touches like create-your-own cookie and sundae experiences. From 5:30 to 9 p.m., there's live entertainment and games with prizes. Foodservice hours are 11 a.m. to 10 p.m. and kids' options include a "Vegetable Plate" with goldfish crackers, peanut butter and raisins. Reservations are recommended. Order pizza whole or by the slice, pick up a roasted chicken family pack or select from kid favorites like chicken strips and burgers. Also available: souvenir cup slushies. Plenty of high chairs are available in a nearby seating area, and more seating is available on an outdoor patio. Hours are 9 a.m. to 11 p.m., and until midnight Friday and Saturday. Fresh cut French fries, burgers and pizza are just a few of the choices at this indoor water park grill. Just outside, there's a freezer case offering ice cream novelties. Hours are noon to water park close. At this seasonal poolside grill and sandwich works, you can make your own salad, select a sandwich with all the fixings, or order up a fresh smoothie, available in an astounding number of varieties (try the Miami Vice). Hours are 10 a.m. to 10 p.m., and highchairs and covered poolside seating are available. Order up a plate of pancakes in your PJs, or host an in-room pizza party. Kids' picks ($5.99) include spaghetti, lasagna, grilled cheese and macaroni and cheese. Hours are 7 to 11 a.m. for breakfast and 12 to 11 p.m. for lunch and dinner. Tax and an 18 percent service charge will be applied. Since all rooms contain a refrigerator and microwave, many families opt to bring along ingredients for quick in-room meals and snacks. 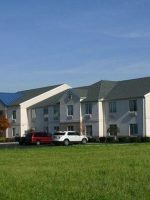 Nearby 24-hour grocery options include Wal-Mart Supercenter (5500 Milan Road) and Meijer (4702 Milan Road). Boasting more than 500 pieces of African art (including a convention center chandelier created with ostrich eggs), this resort is truly rich in theming. Family photo ops abound, from the "Big Five" animal scene in the Main Lobby to colorful creatures populating both indoor and outdoor water parks. Free swim lessons are held daily for ages three and up, the resort mascot makes regular appearances, and there's an ongoing coloring contest, with winners' names posted daily at the Registration desk. Diapers, wipes and other baby and toddler essentials, plus plenty of souvenir options are available at Kalahari Outpost (open 24 hours) off the Main Lobby. Swim diapers, along with hats, sunscreen and water shoes, are also available at the shop on the outdoor pool deck (seasonal), and you can buy waterproof safety tattoos at Zakanaka Kids (9 a.m. to 7 p.m. Sunday through Thursday, and until 10 p.m. Friday and Saturday). Near the Convention Center, a fitness room (ages 18 and over) contains a range of cardiovascular equipment. It's open 24 hours with a resort keycard. At Spa Kalahari, kids can celebrate with a "Mommy & Me Party" or have a mini-manicure or a pedicure. Escape the crowds by renting a comfortable indoor cabana or an outdoor bungalow. Costs range from $99 to $299, depending on the season. Call 877-525-2427 to reserve. Six coin-op laundry stations are located throughout the resort. They're open 24 hours. 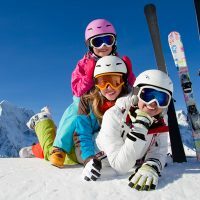 Because it's a family-centered resort, occupancy is high any time school is out of session. This includes weekends, holidays and school breaks, including summer. At holiday times, the resort expands its already extensive array of activities -- a nice benefit, if you don't mind combating the crowds. For shorter wait times at the water park, visit mid-week and arrive early. 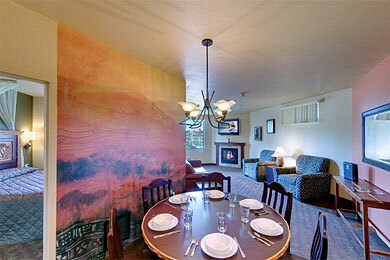 Be sure to visit the resort's website as well as its Facebook page, where special promotions are regularly posted. 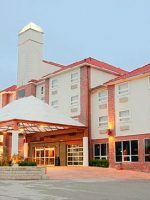 By car, Kalahari Resort Sandusky is about one hour from Cleveland and Toledo, less than four hours from Columbus, Dayton, Pittsburgh, Cincinnati and Wheeling, W.V., and less than five hours from Buffalo, Chicago and Indianapolis. Within the resort, a stroller is a must for kids under three. Self-parking is free in a front lot (the bridge path isn't stroller-friendly; enter through the spa door and save your back), and valet parking is available. Pick up some artisan cheese and a bottle of wine at Java Manjaro and enjoy a night in after the kids crash, or bring a babysitter and indulge in a couples massage at Kalahari Spa.